To thank you for being here, as part of my quilting community, I have arranged for some giveaways from my sponsors over the next few weeks. Today, my friends at Sew Sisters Fabric Shop is sponsoring a give away of beautiful bundle of 10 fat quarters of these stunning Carkai Prints designed by Carolyn Friedlander. Thank you Sew Sisters! Sew Sisters Quilt Shop is a retail and online Canadian fabric shop. If you are in Toronto, you can check them out in person, they are not far from York University. Sew Sisters is a family business which began in 2000 and moved to the retail space in 2007. Sew Sisters also connect with the internet community via their blog and other social media. Sew Sisters has a great variety of fabrics available online - including a large selection of Kona solids, modern prints, blenders, and more traditional prints too. There are several monthly fabric clubs as well. Sew Sisters also carry books, patterns, notions, thread and batting. 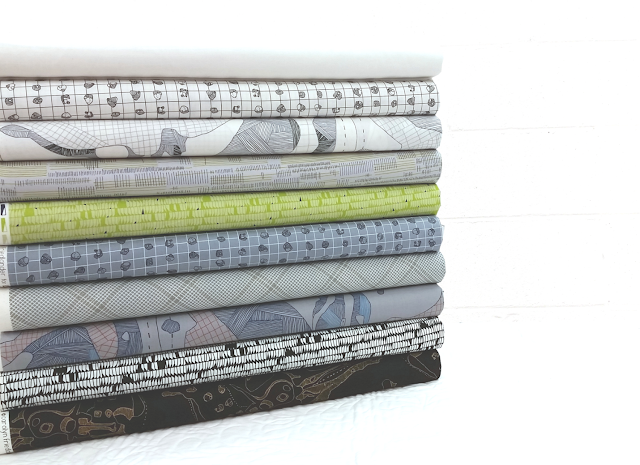 Sew Sisters regularly receive new fabric lines and they keep a huge selection of Kona solids in stock all the time. They ship all over the world and purchases over $100 ship free to Canadian destinations. Packages from Sew Sisters arrive very quickly too. The folks at Sew Sisters are lovely and their customer service is fantastic. If you have not already done so, sign up for the Sew Sisters newsletter - go here and look to the right side bar - and then come back and leave a second comment letting me know that you did - or that you already receive it. If you are a follower of my blog - existing or new - leave a third comment here letting me know how you follow me. Follow the instructions on my instagram post about this giveaway - I may have to wait to post that until later today, please keep an eye out for it. To clarify, you can enter by leaving comments here as set out above and also by following the instagram post instructions if you would like. I will take the entries from both and draw from the entire pool. Help me lovely people - if you don't have your email attached to your commenting profile, please leave it in your comment (emailhandle [at] provider.comorwhatever - is a way to make it more secure if you like.) If I cannot contact you I will immediately draw again. The giveaway will close at Midnight on Friday, March 11, 2016, MST, and I will use the random number generator to draw the winner from the comments on this post and on my instagram post and announce the winner on Saturday - which is the actual date of my blog's birthday. Thank you for all the inspiration, support and encouragement while I travel along my quilting journey! By the way, I was sewing yesterday and will share that with you this week. I just signed up for the Sew Sisters newsletter. Beautiful selection of fabric - the colors and designs are the best! Congrats on your blog and followers. Thank you for sharing. I signed up for the Sew Sisters newsletter. Sounds like a great source of fabric. I receive your email updates! Thanks again. I already receive the Sew Sisters newsletters. I went to instagram also and followed the directions there. Thanks for the chances, thanks for sharing. and congratulations on your five years of success! So very pretty! Love the pop of lime green! Congratulations! You & CF are two of my favorites. I started quilting after I discovered your cycles series online. Thanks for all the inspiration! I already receive sew sisters newsletter, and their kona club! Awesome!!! Congratulations!!! Thanks for all your hard work!!! I signed up for the Sew Sisters newsletter. Also, I follow the blog (firefly) & IG. FOLLOW YOU VIA BLOG LOVIN'! Congratulations on your blogversary! I really love watching you create amazing and beautiful quilts!!! 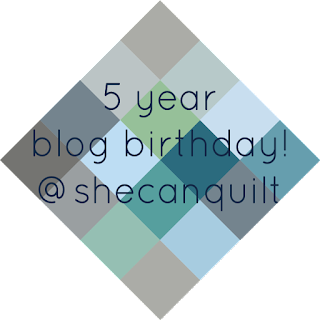 I follow SheCanQuilt via email subscription. Love the Carolyn Freidlander fabrics. I signed up for SewSisters newsletter. I already get Sew Sisters newsletter. Congratulations! I love the colours in this fabric bundle. I follow She Can Quilt via email. I am a fan of Carolyn Friedlander's fabrics ! Thank you for the give away. I signed up for the Sew Sisters newsletter, and I checked out the Kona. You're right--the selection is huge. I am going to buy it there now. I just love your blog posts! Wow, congratulations on your milestones, and thanks for giving away these lovely fabrics! I follow both you and Sew Sisters. I really love those fabrics! The fabrics are lovely-a great combo of modern prints, a quilt ready to be made! Thanks very much and Congratulations to you. I follow you by getting your post in a reader; thank you for sharing with your readers. I really like the fabric, and the projects, thanks! I love that the birthday celebrations just keep coming -- congrats on all of your hard work, Leanne! I just subscribed to Sew Sisters's newsletter! And I follow this blog on Bloglovin'. In complete honesty, I own these fabrics already. But I would not say no to more CF, ever. Congratulations on your milestones! I point people to your blog for great info on curves. I follow you here and on IG as @artandstole. Congrats & thanks for another great giveaway! I can't wait to see the sewing you've been doing!! I follow you on email! I follow your blog by email and get your updates and love reading them. Wow 5 years! I love Sew Sisters and shop from them regularly... great service and I like their prices and their sales are awesome. Also read their blog. I do follow your blog by email and will follow you on instagram, even though I am new to that... will find you! Thanks for the give away. I subscribe to sew sisters. Mjtorrey@comcast.net. 5 years is great. I enjoy hearing from you. Mjtorrey@comcast.net. That is a gorgeous bundle! Another gorgeous bundle! Thanks for the chance to win. I already revive Sew Sisters' newsletter. Congrats on your blog birthday! The Carkai fabrics are gorgeous! I love the low volume of the fabrics in this giveaway! I have subscribed to the Sew Sisters newsletter. 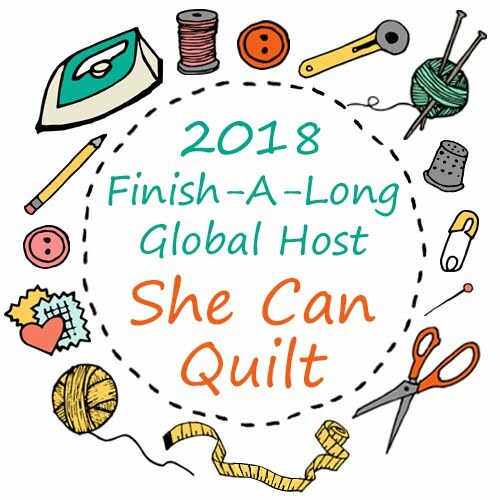 I signed up for the Sew Sisters newsletter! Thanks for another great giveaway. Carolyn Friedlander fabric - It doesn't get any better than that! Many congrats on your milestones. What a wonderful giveaway! I follow sew sister via email. Fantastic give-away. I adore Carolyn Friedlander and her fabrics! i love carolyn friedlander's designs. thanks for the giveaway. i subscribe to sew sisters newsletter. i follow she can quilt by email. Oh and I love to follow your blog very much! Love these fabrics. Congratulations on a huge milestone! I'm happy to be a follower of your blog! The fabulous Carkai prints are not available locally and I am totally smitten with this line, so would love to win. I follow sew sisters by receiving their newsletters. Latest buy was some of the solid fat quarter bundles and luscious they are. I follow Leanne by email and am very glad that I do. 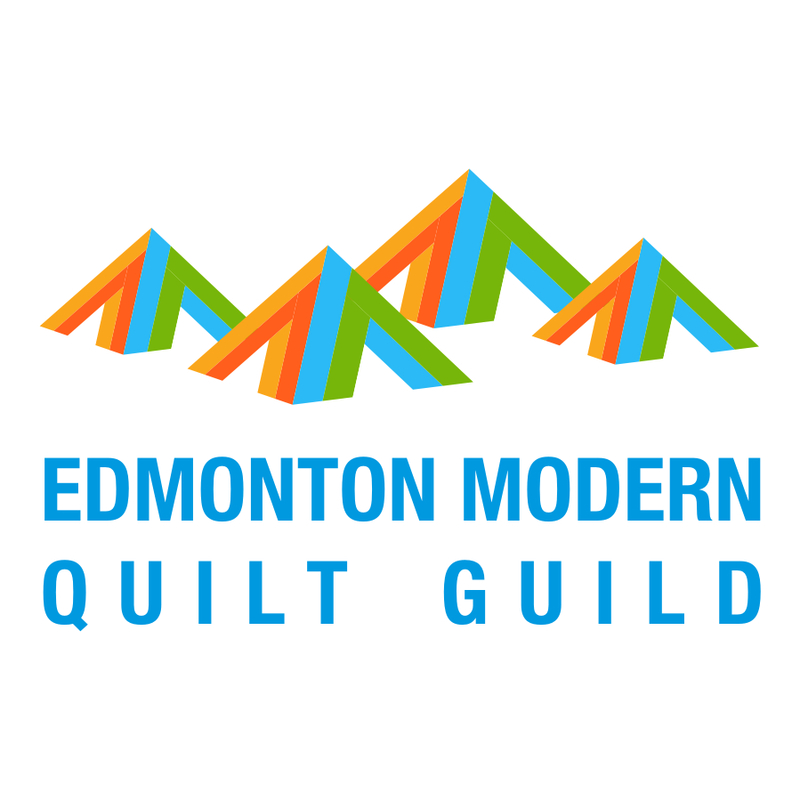 Can't wait to see your work(s) at Quilt Canada. Congrats for being juried in. Lovely fabrics! I must work some gray into my quilts! Signed up for Sew Sisters newsletter. Happy Anniversary, love your blog!! The Carkai fabric is just beautiful - love the greys! Thanks for the chance to win. I follow your blog on Bloglovin' - thanks! Congrats on your blog! Loving the new Carkai collection. Am excited to use it. Enjoy reading your emails and blog. Congrats on all your milestones and thanks for the chance. I get the sew sisters newsletter. Thank you to Sew Sisters Fabric Shop and to you for the chance to win these intriguing Carkai Prints by Carolyn Friedlander. I hope I win! Congratulations! Would love to win these fabrics. I follow you in several places- BL and IG for two. Goodness I've been drooling over Carkai since it's release. Thank you for the opportunity Leanne, to acquire a bundle. 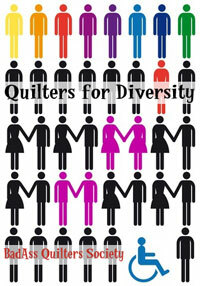 I'm Newly subscribed to Sew Sisters Quilt shop newsletter. What a lovely shop too, I love all the Kona colors. 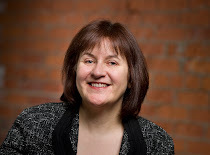 Leanne, I follow you via email newsletter and Bloglovin. Thank you for inspiring me too, I love all your posts, large or small, finished or works in progress. You are so generous to share your knowledge and keep me growing in the quilting arena. Such a pretty bundle of fabric! Thanks to Sew Sisters. Congratulations on your anniversary and your milestones. I agree with you Sew Sisters is an awesome Canadian fabric store, I am always impressed with their fabric, service and speed of delivery. I'm already signed up for Sew Sisters newsletters. What a beautiful bundle Leanne! Once again congrtulations and thanks for all the celebration chances to win. I already get the Sew Sisters newsletter. Congrats on your anniversary! Love the blog. I am already subscribed to sew sisters newsletter. Those fabrics are beautiful. I'm a customer of Sew Sisters and have been for ages - you're right, you absolutely can't beat their service and quick shipments! I have signed up for their newsletter. Congratulations on reaching so many huge milestones with your blog! And I am now following your blog. Gorgeous fabric, just the colors I am looking for. I recently signed up for your blog. It really interesting. I have been a newsletter subscribers to Sew Sisters for several years. Congrats on your Blogaversary! That's quite a milestone and many thanks for your giveaway! I'm crossing my fingers! I follow Sew Sisters on Facebook, Pinterest and also email! I'm a fan!